I think we make it plain about what we aim to achieve in these pages each month. The mission is printed right there on the cover—“Ideas and tools for edtech leaders.” As I read this issue one more time before it goes to the printer, I feel confident you will find it chock full of both. From the big picture to the nitty-gritty, the ideas span the gamut. This is just a tickle: “High-stakes testing is America’s Faustian bargain, made with the devil of authoritarianism”; “No longer does the mass, one-size-fits-all, sit-and-listen PD have to be the status quo. We can meet teachers where they are, at a time that works for them, and deliver the personal PD they deserve”; “Engaging girls in STE M is about showing them it isn’t just about numbers or percentages. It’s also about solving problems, helping others, and being creative thinkers”. Here’s the best part. The ideas you will read here are not only for edtech leaders, but created by edtech leaders. The writers and sources are our very own advisors, those of you who attend our Tech Forum and SchoolCIO events, who contribute to our site by blogging, and who comment on those same stories. 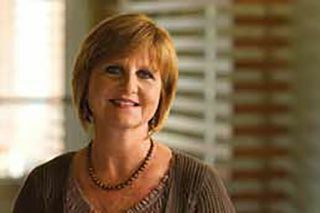 One of those voices who will be sorely missed is that of advisor and friend Debbie Braswell Rice (pictured), who passed away last month. Debbie was director of technology for the Auburn City Schools (ACS) in Auburn, Alabama, and a pioneer of many innovative and successful edtech implementations there. Her work improved the lives of students both in her district and throughout the country, thanks to her contributions for us as well as her work with organizations like Project Red and Intel’s K-12 Blueprint. Her enthusiasm for all things edtech was outmatched only by her kindness and spirit. Her work will leave a lasting legacy. R.I.P.